This year, National Volunteer Week is April 15-21, 2018. 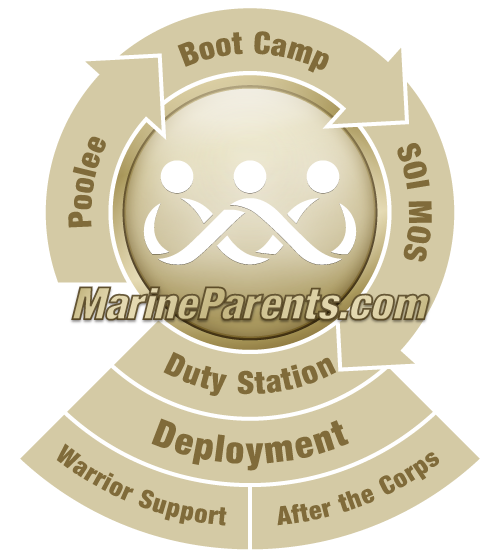 MarineParents.com would like to take this time to recognize our amazing volunteers. Volunteers work with a variety of our outreach programs and services. National Volunteer Week was established in 1974 by President Richard Nixon. This was done as a way to celebrate the hard work and dedication of volunteers. Each President since then has issued a proclamation during National Volunteer Week, and this has also been the case for many mayors and governors across the country. Since 1974, National Volunteer Week has not only been a celebration of the dedication of so many volunteers, but also a nationwide effort to encourage people to volunteer in their own communities. This year, National Volunteer Week is April 15-21, and during this time we ask you to join us in celebrating the hard work and dedication of our volunteers here at Marine Parents. This organization could not exist if it were not for the contributions of hundreds of parents around the United States. Our volunteers have taken that one step further and contribute endless hours answering emails, moderating the social media groups, researching information, and supporting the parents, spouses, family and friends of our United States Marines. The dedication to the Marine Corps from each of these individuals benefits thousands of families around the world. 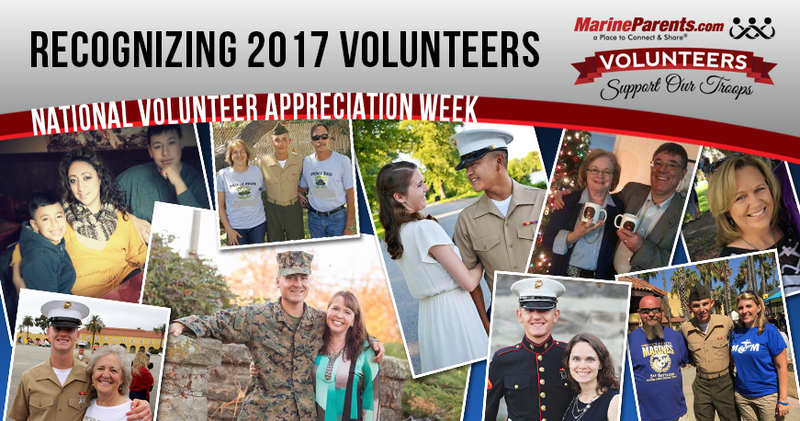 Read more about MarineParents.com volunteers' hard work and dedication in 2017 in the red links.